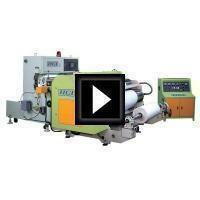 Rigid Film Flatten and Sheeting Machine Video(FSC-G) - HCI Converting Equipment Co., Ltd. Designed to flatten and slice various kinds of plastic and paper. Maximum thickness of materials can reach 2mm.